Are you interested in quickly and effectively training your staff on SAP? 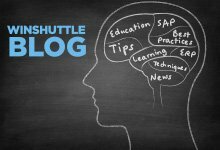 Winshuttle and Epistemy Press have partnered to provide corporate SAP Training Administrators with a suite of tools for learning core SAP concepts. In this training, we use GBI, a fictitious company represented in the SAP ERP system, to illustrate all of the core concepts of SAP ERP in a “real” corporate environment. The GBI system has all of the capabilities of a productive SAP ERP system, but it is simplified to focus on conceptual understanding rather than task mastery. Each concept is explained clearly from a business perspective in the supplementary eBook and curriculum materials from Epistemy Press. 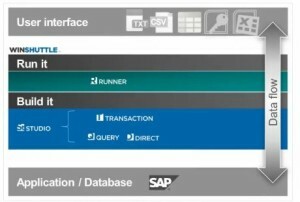 Winshuttle, in conjunction with Epistemy Press, has developed suite of templates designed to easily set up your GBI – SAP training instance. 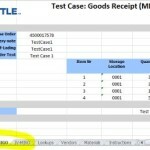 All that is required is a copy of Winshuttle Studio. By combining a live SAP ERP training system that is simple to set up with Winshuttle and an end-to-end eLearning curriculum, your company can rapidly and easily train thousands of your employees to get the maximum value out of your SAP investment. Epistemy Press has been working closely with the SAP University Alliances to develop a fully integrated portfolio of conceptual and practical content, along with a set of SAP configuration tools using Winshuttle that implements a fully operational SAP ERP environment for hands-on application of the course concepts. Stop by the Winshuttle Booth (239) at the SAPPHIRE NOW in Orlando, FL to learn more!